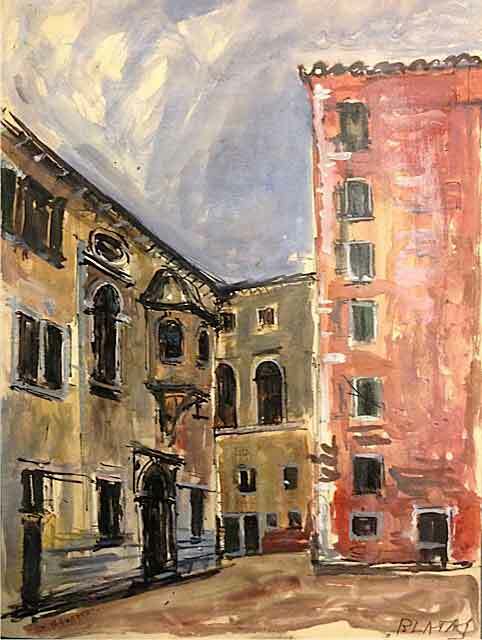 A rare gouache on paper, Synagogues of the Ghetto, by Arbit Blatas. Recently on loan to Venice’s Ducal Palace and featured in Rizzoli Books’ magnificent book, Venice, The Jews and Europe 1516-2016. 12.5 x 17.5 in.